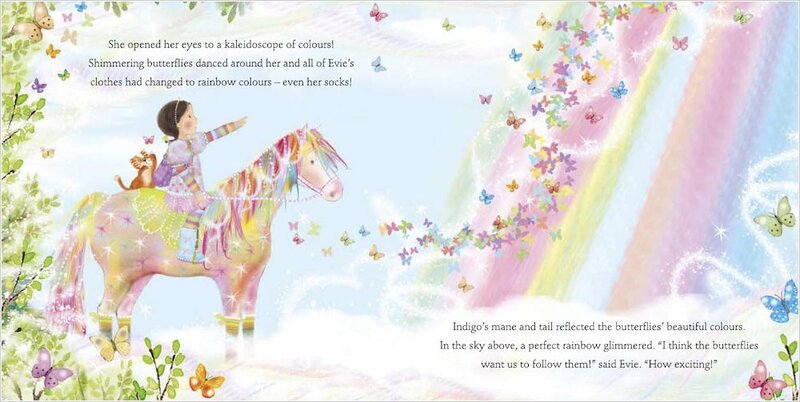 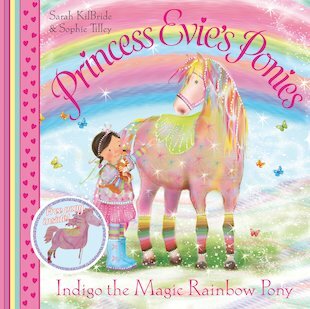 Princess Evie and her kitten, Sparkles, are whisked away to the rainbow’s end by Indigo the Magic Rainbow Pony. Can they help to put the colour back into a dreary grey garden? 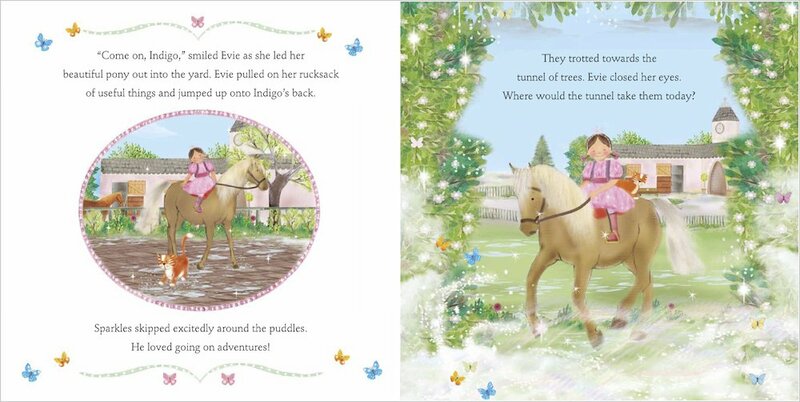 They might need the help of a few friends… The latest glorious adventure starring a pony-loving princess and her stable of very magical steeds. 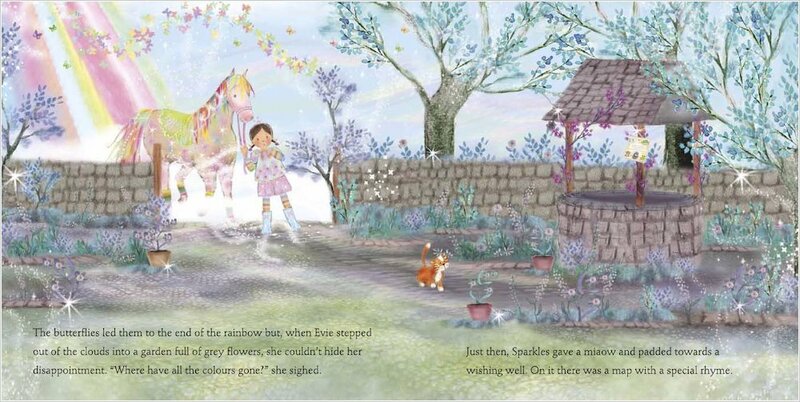 Delight little horse-lovers with this beautiful picture book, which includes a FREE cardboard model pony to assemble.